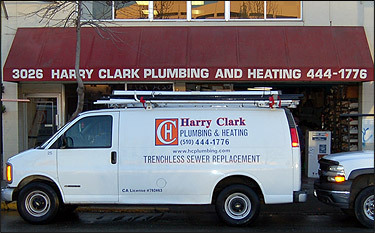 Harry Clark Plumbing and Heating Inc. is an experienced plumbing company that specializes in a range of sewer inspections, repairs, and replacement services. As your local trenchless specialist, we can install new sewer piping in your home to improve your septic and sewer systems. This way, you will notice a big difference if your system has not been updated in a long time. Technology and products are always improving, so ask our team about how your home can utilize these new technologies. At the end of the day, we will ensure that your home’s pipes are not past their prime. Hire us to come to your property and determine the elevation of where the pipe will connect to a fixture and how it will be connected to another pipe. Our team will lay the pipe and make sure the installation is done property the first time. Give us a call today to learn more about what we can do.